In case you forgot, Mother’s Day this year is on Sunday, May 14, 2017. Since that’s just a little over a week away, it’s time to decide on what you’ll be gifting her. You have to go big for the most important woman in your life—whether that’s your own mother or the mother of your children. Here we present four incredible ladies’ Rolex watches to express your gratitude. After all, the hardest job in the world deserves the best gift as a thank you! 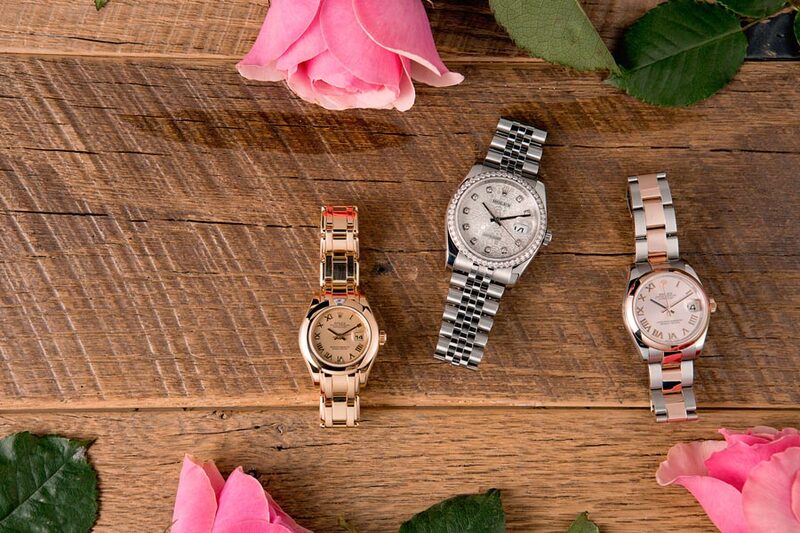 The perfect Mother’s Day gift comes in a Rolex box. 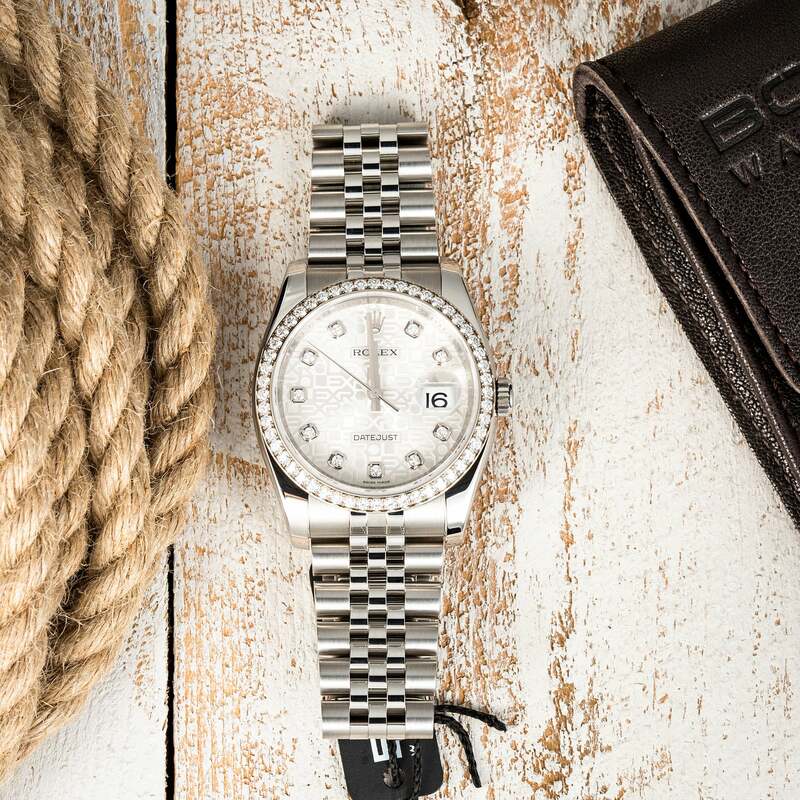 The Rolex Lady-Datejust is the quintessential women’s luxury watch. In fact, it’s the best selling model from the Rolex catalog, emphasizing its global appeal. And the Lady-Datejust ref. 178241 is a particularly modern approach to the classic Datejust. The Lady-Datejust ref. 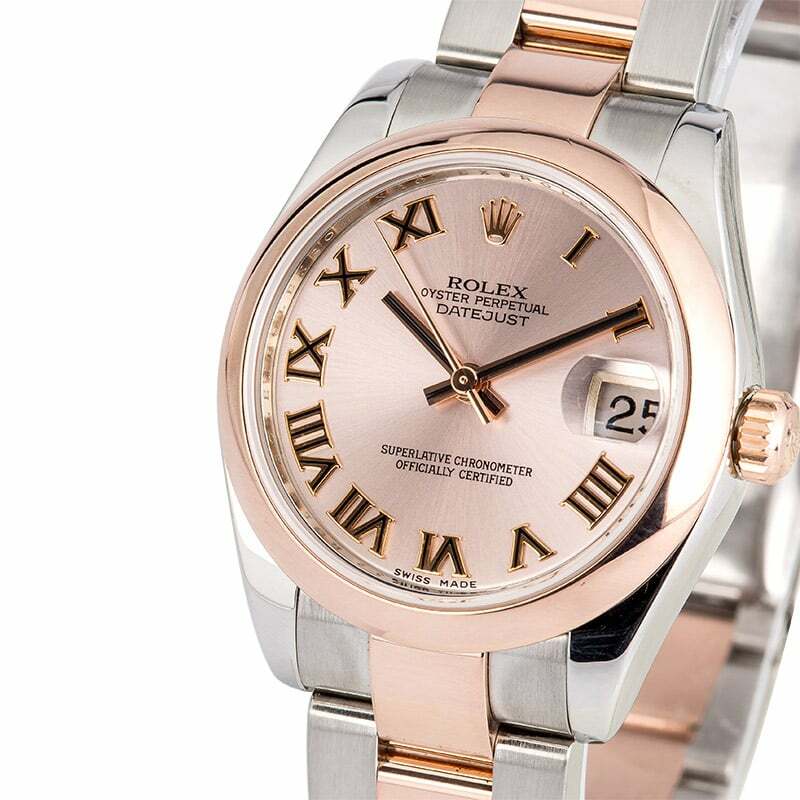 178241 is a pink Rolesor—Rolex’s combining of Everose gold and stainless steel—model. The 31mm stainless steel Oyster case is topped with an 18k Everose gold bezel and winding crown. Furthermore, its sporty Oyster bracelet includes 18k Everose gold center links flanked by stainless steel outer links. Beautifully complementing the steel and rose gold is the pink dial with rose gold Roman numerals. Of course, true to its moniker, the Lady-Datejust ref. 178241 has the characteristic date window at 3 o’clock, along with the Cyclops lens for magnification on the sapphire crystal. The Lady-Datejust ref. 178241 is the result of combining Everose gold and stainless steel. A fresh and contemporary version of the traditional Datejust, any mom who receives the Rolex Lady-Datejust ref. 178241 this Mother’s Day will be tickled pink! The Rolex Pearlmaster is the brand’s collection of jewelry watches and the ref. 69328 is an exquisite model. This Pearlmaster is crafted entirely in 18k yellow gold with one white diamond on the domed bezel. Housing the champagne dial with Roman numerals is a 29mm Oyster case. On the dial, we see the date window at 3 o’clock magnified by the Cylcops lens on the sapphire crystal. The most distinguishing feature of the Rolex Pearlmaster however, is its bracelet. The high-sheen five-link gold Pearlmaster bracelet very much wears like a piece of jewelry, thus, adding, even more appeal to the Rolex watch. Rolex Pearlmaster (Left) ref. 69328 on the left is the brand’s collection of jewelry watches. Part jewelry, part luxury watch, the Rolex Pearlmaster ref. 69328 would be an unforgettable gift for mom this Mother’s Day. Sized at 36mm, the Rolex Datejust ref. 116244 is technically classified as a men’s watch in Rolex’s catalog. However, today, it’s well accepted that the Datejust 36 is a unisex watch. In fact, the demand for this size has been steadily increasing among the female audience for years. This Datejust ref. 116244 comes with a diamond bezel and diamond dial. Also, this stainless steel Datejust ref. 116244 is feminine due to its diamond bezel and diamond dial. The bezel is set with 52 white diamonds while the silver dial has ten diamond hour makers. Adding to the dressiness of the Rolex Datejust ref. 116244 is its Jubilee bracelet with its distinct five-link configuration. The marriage of robust stainless steel and precious diamonds is a hallmark of the modern luxury ladies’ watch and we know this Datejust ref. 116244 will make mom happy. The Rolex ref. 179175 is also a Lady-Datejust model, yet, thanks to its solid gold construction and bracelet, it’s deemed a Rolex ladies’ President too. The President bracelet—the same one used on Rolex Day-Date models—is characterized by its three semi-circular link pattern and hidden clasp. This Rolex President goes one step further with the ten diamond hour markers. The ultra precious ladies’ President ref. 179175 is made entirely in 18k Everose rose gold. It sports a fluted bezel and pink dial. The luxuriousness of this Rolex President goes one step further with the ten diamond hour markers on the dial. And while there’s no day window, there’s certainly the date aperture at 3 o’clock sitting under the magnification of the Cyclops lens. 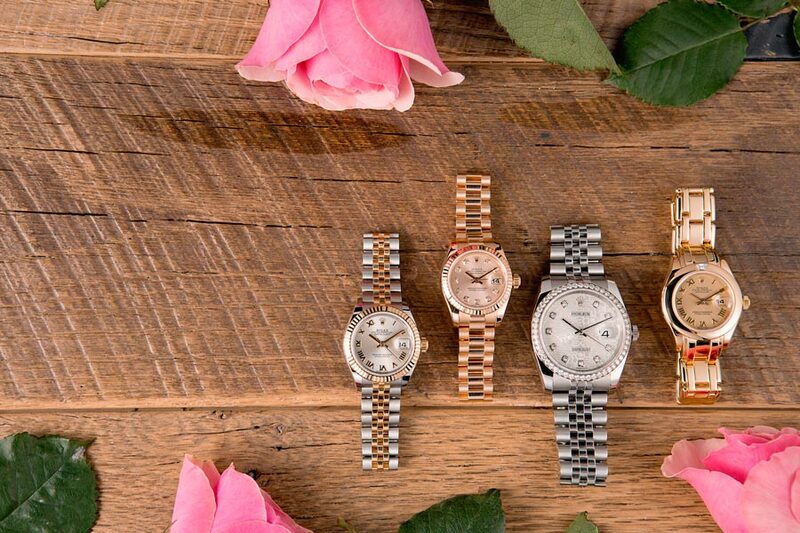 If only the finest will do for mom this Mother’s Day, then it has to be the Rolex ladies’ President ref. 179175. It goes without saying that all four of these ladies’ timepieces—like all modern Rolex watches—run on in-house automatic mechanical movements. This is particularly noteworthy because, unfortunately, many luxury watch brands have a habit of using cheaper quartz movements for their ladies’ watches. But, not Rolex. The Swiss watchmaking giant understands that their female clientele—and not just the men— deserve a superlative mechanical movement too. And is this yet another reason that Rolex continues to be the biggest luxury watch brand in the world. 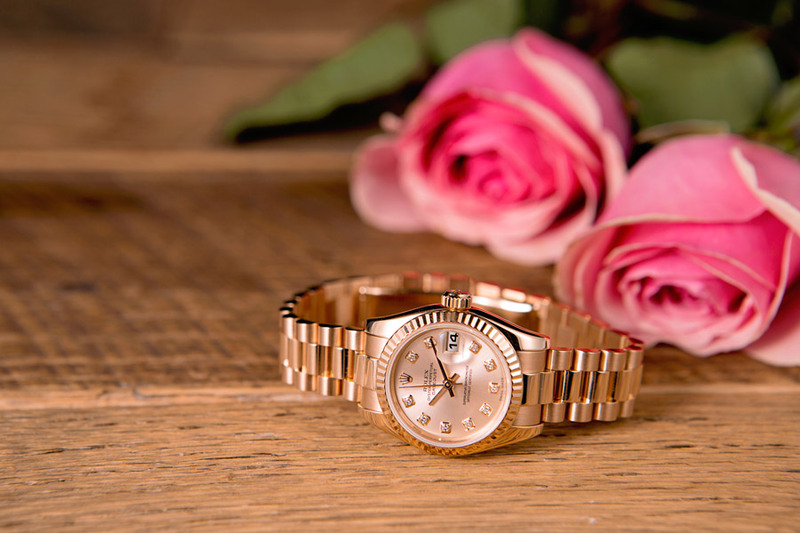 So, this Mother’s Day, make it extra special for Mom with a beautiful Rolex watch.